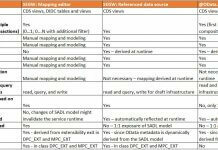 In our first sap netweaver gateway how to guides we have modeled the OData service. In this tutorial we are going to implement the service i.e. writing the actual business logic to pull the data from the back-end system. 1. 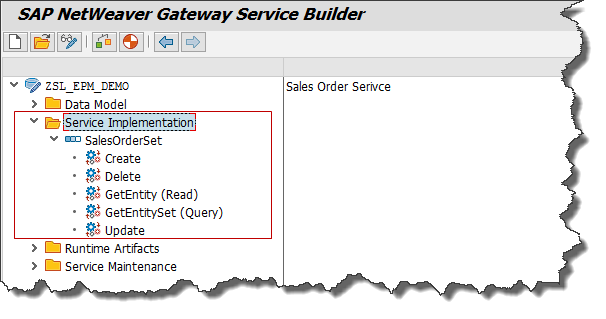 Go to Gateway Service builder SEGW and expand the Service Implementation node of the service. 2. Under this node you will find five methods for each Entity Set. Create – Includes the business logic to create data in the back-end system. Delete – to delete the data from the back-end system. GetEntity(Read) – to read the single record details from back-end system. Update- to update the data into back-end system. Example: The service we are going to implement is Sales Order related. So to get the list of sales orders from the back-end system we should write the abap code in GetEntitySet (Query) method. 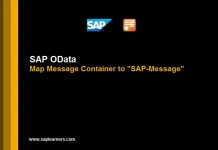 To read the single sales order details we should write the abap code in GetEntity (Read) method. 3. First we are going to implement the method GetEntitySet (Query) method to get the list of sales orders from the back-end system. 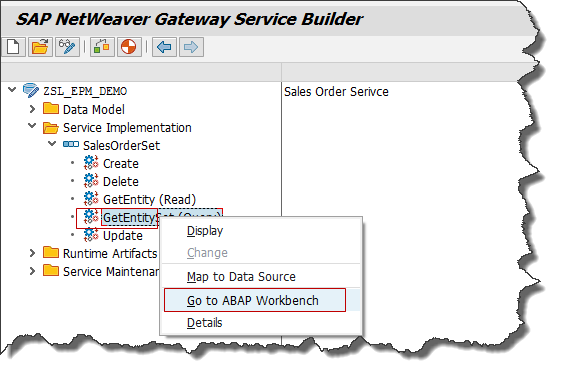 To do so right click on GetEntitySet(Query) → Go to ABAP Workbench. 5. 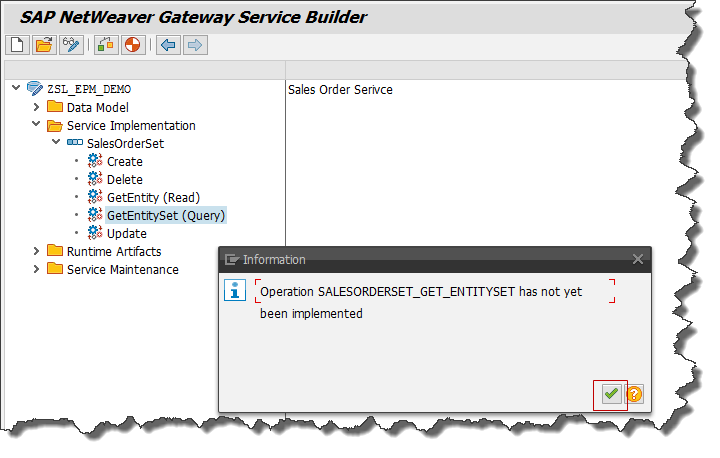 You will be navigated to DPC_EXT class and find the method SALESORDERSET_GET_ENTITYSET to write the code. 6. Select the method SALESORDERSET_GET_ENTITYSET method and click on redefine button on the top. 7. You will find some commented code in the method when you redefine ignore that and write the below code to fetch the sales order using BAPI. IF lt_salesorder IS NOT INITIAL. LOOP AT lt_salesorder INTO ls_salesorder. 8. Save and activate the method SALESORDERSET_GET_ENTITYSET and then class ZCL_SL_EPM_DEMO_DPC_EXT. Go back to the Service Builder. 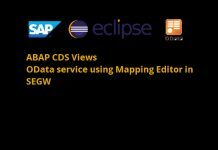 Stay tuned to us for more SAP Netweaver Gateway tutorials.Please feel free to comment and let us know your feedback.